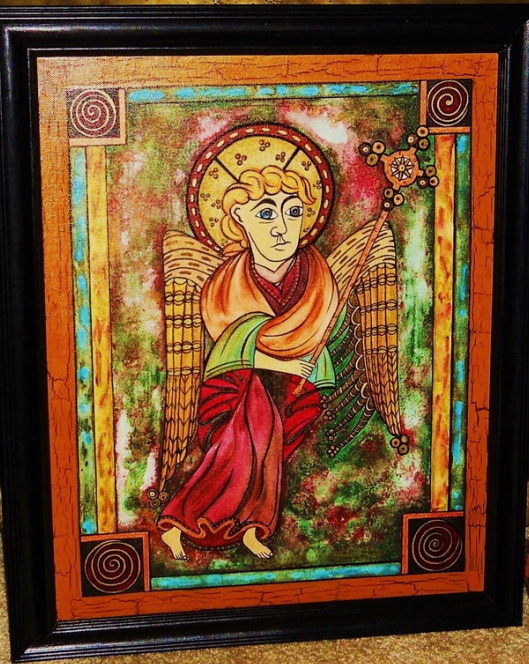 St. Matthew is one of four saints depicted in the Book of Kells. This beautifully illustrated Latin codex of the gospels is believed to have been written in Ireland sometime in the 4th century, and is one of the oldest copies. Here, we have a reproduction of St. Matthew 's symbol, 'Man', (Folio 27v). Watercolor pencil, acrylic, Gold Leaf, and India ink on canvas.